The ALCONOX brand was introduced in 1941 for use in hospitals and laboratories as a hard surface cleaner that cleaned without leaving interfering residues. This innovative and desirable technology led to the rapid acceptance of ALCONOX, and to the formation of Alconox, Inc. in 1946. The year 2016 marked our 70th year in business. 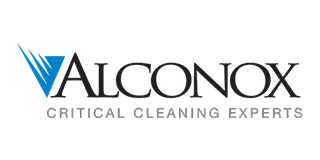 Alconox, Inc. manufactures a full line of critical cleaning detergents for a wide range of hard surface cleaning applications. Our detergents are sold through a network of leading distributors in the laboratory, health care, and industrial fields in the United States and over 40 countries worldwide. 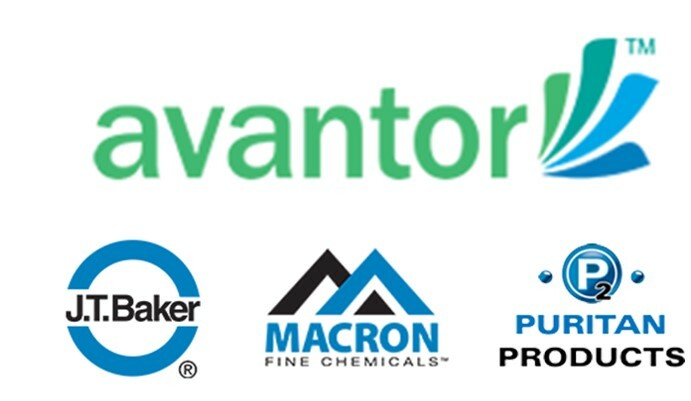 Avantor is a global supplier of ultra-high-purity materials for the life sciences and advanced technology markets. The company provides performance materials and solutions for the production and research needs of more than 7,900 customers across the biotechnology, pharmaceutical, medical device, diagnostics, aerospace & defense, and semiconductor industries. In 1904, John Townsend Baker founded the J.T. Baker Chemical Company with a mission to produce chemicals of the "highest degree of purity commercially available." As the first to include lab results listing trace impurity levels on labels, J.T.Baker ® chemistries quickly established a reputation for quality, data transparency and collaboration. Today, the J.T.Baker ® brand is one of the most widely known and respected brands of chemicals around the globe. The J.T.Baker ® product portfolio continues to instill confidence and drive innovation in laboratories and manufacturing facilities worldwide. The Macron Fine Chemicals™ brand gives you versatility you can count on, with each product meeting exacting standards for reproducibility and consistency. That gives you increased value and simplifies ordering and specifying, because you know our products will always meet your standards for performance throughout your operations. Plus, you?ll get the kind of quality our customers around the world have come to expect and rely upon, from world-class manufacturing and distribution facilities. Established in 1987, the Puritan Products™ brand has been a supplier and manufacturer of high-purity chemicals for the pharmaceutical, biopharmaceutical, semiconductor and laboratory markets. Since its inception, BrandTech ® Scientific has prided itself on providing products with premium quality and excellent value with exceptional service to customers in the United States and Canada. We carry a selection of liquid handling products and life science plastics from BRAND GMBH + CO KG, vacuum technology from VACUUBRAND GMBH + CO KG, high quality plastic labware from VITLAB GMBH, and lab support jacks from Bochem Instrumente GmbH. BrandTech's liquid handling line, which includes the Dispensette ® bottletop dispensers, Titrette ® bottletop burettes, Transferpette ® pipettes and HandyStep ® repeating pipettes, is distinguished by the accuracy, precision, safety, and ergonomics of the instruments? designs. The BRAND Life Science Plastics line includes their innovative line of disposable UV-Cuvettes that allow photometric measurements down to 230 nm and fit nearly all spectrophotometers. The line also includes 96-, 384-, and 1536-well plates; PCR tubes, strips, plates and mats; and microcentrifuge tubes. 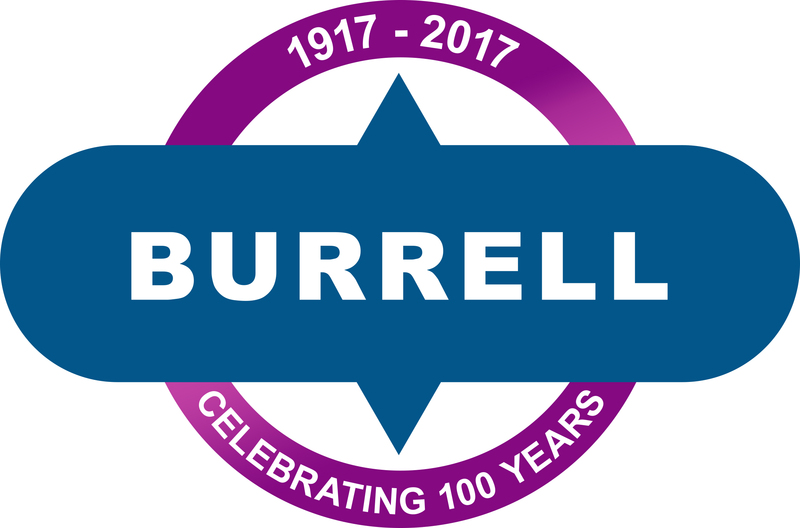 Burrell Scientific LLC has been servicing Research, Healthcare, and Industrial Laboratories since 1917. Burrell Scientific introduced the only true Wrist Action® Shaker in the early 1940's and the product has stood the test of time. Since the 1940's the Wrist Action® Shaker has defined reliability, versatility, and efficiency of design. Its endurance proves that this product has continuously exceeded the ever changing and growing needs of laboratories worldwide. Today our shakers are operating in laboratories around the globe supporting research and development for virtually every industry including environmental and safety, textiles, cosmetics, government and education, food and beverage, chemical, medical, biotech, and pharmaceutical to name a few. Approximately one-half of High-Purity Standards business is in the preparation of custom blends and difficult to prepare special mixtures. In addition, we've expanded our Organics lab. It's now bigger and better to meet increased demand. 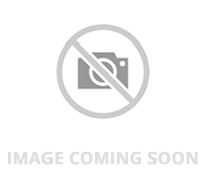 You'll find on this website a new custom organic reference material quote form to make ordering easier. In late 2015, Merck Millipore joined forces with Sigma-Aldrich. Our combined organization, which operates as MilliporeSigma in the United States and Canada, is the life science business of Merck - and a global leader in the $125 billion life science industry. Merck's life science business operates 65 manufacturing sites worldwide and employs more than 19,000 people in 66 countries. This geographic reach, combined with our innovative portfolio, industry-leading capabilities, and a culture that fosters curiosity and collaboration, uniquely positions us to anticipate and fulfill our customers' needs - and solve their toughest life science problems. PHARMCO-AAPER is a manufacturer of Pure and Denatured Ethanol, High-Purity chemicals and Sterile Solvents. As a subsidiary of GFE, one of North America's leading Ethanol Producers, we represent Quality, Integrity, and Service to the Pharmaceutical, Biotechnology, Allied Health, Food, Flavor, Fragrance, Institutional and General Industrial markets. 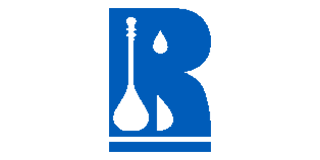 Founded in 1975, RICCA CHEMICAL COMPANY has grown to be the largest independent manufacturer of chemical testing solutions, standards and reagents in North America. Our growth and success have been the result of our dedication to quality, service and value to our distributors and especially to our end-user customers - the people who ultimately use our products in their laboratories. In 1975, Moon Su "Richard" Park founded Tedia with little more than technical knowledge and the enthusiasm to provide superior quality high-purity solvents. Since then, Tedia has "come a long way," as they say, in terms of its growth and development. But the goal is still the same: to provide superior quality high-purity solvents and total customer satisfaction. We strive to remain true to Moon's dream. Moon dedicated his life to his family and to his company; indeed, Moon thought of Tedia as another one of his children. It is in this spirit that Tedia continues to flourish today and into the next millennium. Ten years ago, Moon's children joined the company and, together with all "Tedians," strive both to maintain the tradition and to improve processes, procedures, and company culture. We remain a company managed by dedicated owners, working closely together in a family-like environment to provide the kind of individual customer service and quality solvents that only Tedia can provide. 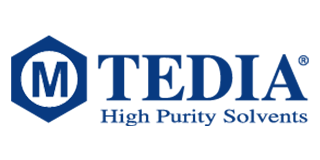 After decades of championing purification technology and manufacturing a full line of high purity solvents, we proudly offer the industry's most complete line of high purity solvents under the Tedia brand name. We have carefully defined our product line to meet your specific manufacturing, research, and analytical needs. Our products are currently available over 30 countries around the world.